(Bloomberg) -- Genting Singapore Ltd. and Las Vegas Sands Corp.’s pledges to put S$9 billion ($6.7 billion) into tourist attractions in Singapore to keep their exclusive casino operating licenses was met with little enthusiasm by analysts and investors. At least six analysts downgraded Genting in the wake of the news, citing the hefty price tag for the license extension and the government’s plan to raise gambling taxes after 2022. Shares of the Singapore-based developer closed 9.4 percent lower in trading Thursday, for the biggest one-day drop since May 2009. 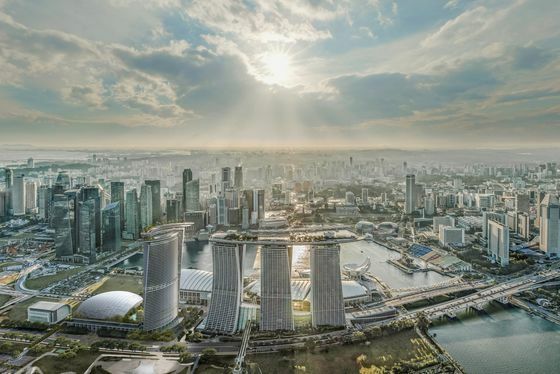 The total investments, almost two-thirds of the operators’ initial spend in 2006 of about S$15 billion to build the integrated resorts, come in the wake of a tourism spike caused by the Hollywood movie “Crazy Rich Asians,” which was set in the city state. Last year’s high-profile summit between U.S. President Donald Trump and North Korean leader Kim Jong Un also drew attention. Still, the casino operators were seen to have paid an overly high price to keep their licenses, as any meaningful earnings boost from the expansions would be far off. But an average of only 764 extra rooms a year will be completed from 2018 to 2022, down from 3,357 annually between 2014 and 2017, according to Cushman & Wakefield Plc.